Official fuel consumption for the Volvo XC60 in MPG (l/100km): Urban 31.0 (9.1) - 48.7 (5.8), Extra Urban 44.8 (6.3) - 58.9 (4.8), Combined 38.7 (7.3) - 54.3 (5.2). CO₂ Emissions 167-136g/km. Representative 4.9% APR finance is available on new Volvo XC60 models, purchased and registered by 30th June 2019. You will not own the vehicle until all payments are made. Representative examples are based upon an annual mileage of 10,000 miles. Deposit contribution only available when purchased with 4.9% APR representative finance. A dealer or manufacturer deposit contribution means that we have discounted the price of the car by contributing towards your vehicle deposit. Promotions are not available for used cars.Finance is subject to status and only available to applicants aged 18 and over resident in Mainland UK and N.Ireland. Guarantees/Indemnities may be required. Failure to meet payments may affect credit rating. This finance offer is available from Santander (UK) plc trading as Volvo Car Credit, Santander House, 86 Station Road, Redhill, Surrey, RH1 1SR. We may receive commission or other benefits for introducing you to Volvo Car Credit. you have the option at the end of the agreement to: (1) subject to the vehicle being in good condition, return the vehicle and not pay the Final Payment. If the vehicle is in good condition and has not exceeded the allowed mileage you will have nothing further to pay. If the vehicle has exceeded the allowed mileage a charge for excess mileage will apply - in this example **14.9p per mile plus VAT for any excess mileage up to 4,999 miles and 29.8p per mile plus VAT for any excess mileage exceeding 4,999 miles). (2) pay the Final Payment to own the vehicle or (3) part exchange the vehicle subject to settlement of your existing finance agreement; new finance agreements are subject to status. 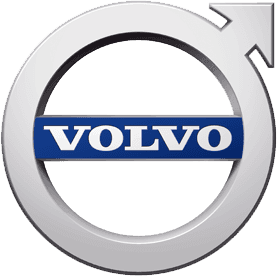 Taggarts Volvo is a trading style of Lookers Motor Group Ltd who is acting as a credit broker and not a lender.We can introduce you to Volvo Car Credit and a limited number of other lenders to provide funding for your vehicle. We may receive commission or other benefits for introducing you to such lenders.